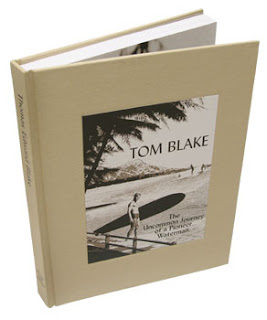 This book is the definitive biography of Tom Blake -- the man who invented the surfboard fin, the hollow board, sailboard and the arch-typical surfer lifestyle (among many other accomplishments). Long out-of-print, it is rated with 5 stars on Amazon.com. 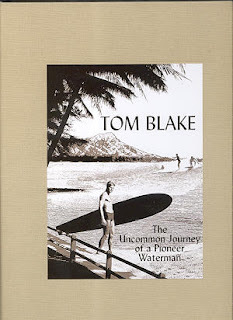 Produced by Spencer B. Croul and co-authored by Gary Lynch and myself (Malcolm Gault-Williams), TOM BLAKE: The Uncommon Journey of a Pioneer Waterman was originally published in 2001. Three thousand copies were printed; each book is a 256-page hardcover, special boxed collector’s edition, featuring over 300 images. At Amazon.com, there are still various editions available at prices ranging from $40-225. 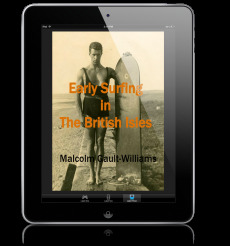 To order, go to Amazon Smile, HERE. 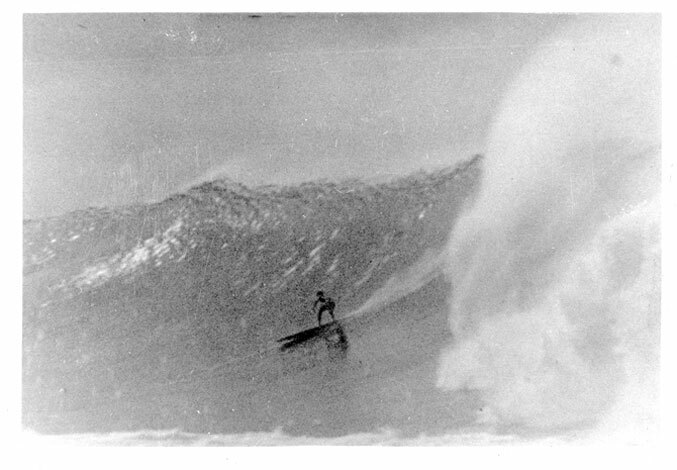 I’m proud of all my writings on surf history and I thank all of you who have read some of them and who continue to do so. TOM BLAKE: The Uncommon Journey of a Pioneer Waterman is certainly my crowning achievement to-date.